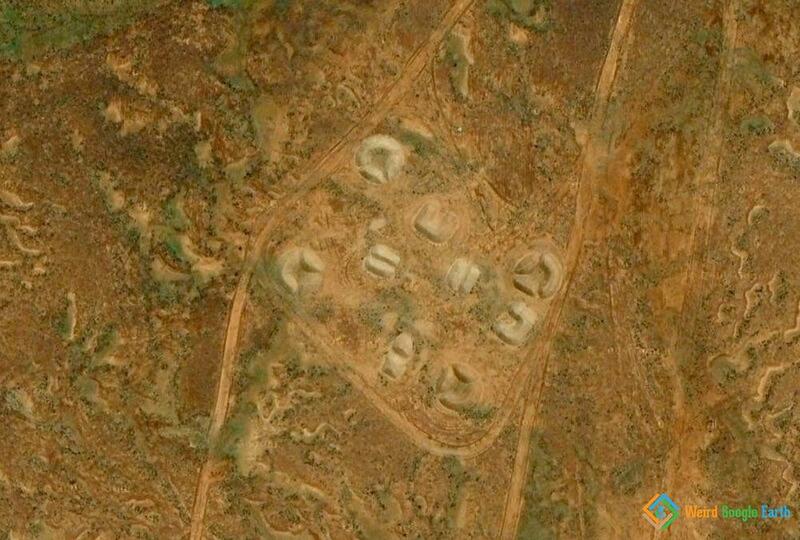 Large indigenous Australian symbols in the desert. 200metres N of an abandoned military airfield. More are between the two runways.